Durable polymer coated lumber construction for superior structural strength and low maintenance. 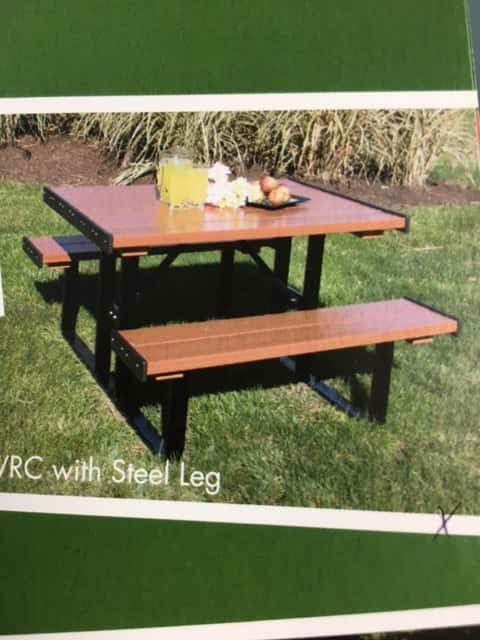 Four foot length with steel legs. Western Red Cedar color with black legs.